English teacher in a French school of agriculture including BTSA. 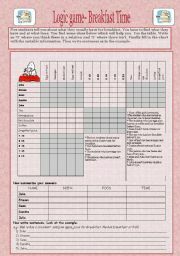 Logic Game: Breakfast Time, 2 pages, key included. 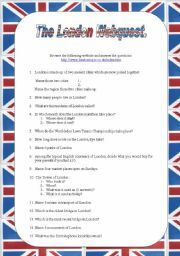 This is a webquest on London (link to the website included), the students have to answer the questions and do the activity (question 8). The site is quite rich so this webquest can take a while. 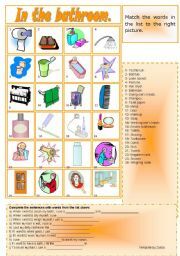 This worksheet deals with the bathroom vocabulary. 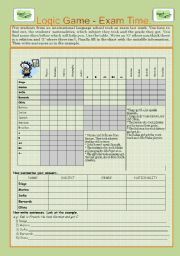 It contains two exercises: matching and fill in the gap. Useful before a trip to England. 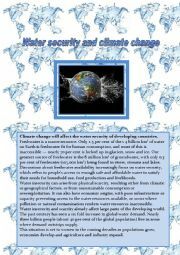 Written comprehension:Water security and climate change, how valuable water is.4 pages. Written comprehension about water scarcity and its importance.Save water, save our planet! 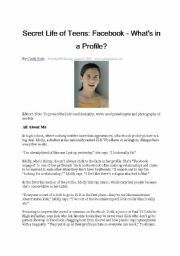 Secret Life of Teens: Facebook - What´s in a Profile? This is a reading comprehension with diferent tasks about teenagers´ image on Facebook. It comes from the Washingtonian.com. I don´t know about yours but all my students have an acount on Facebook and are always captivated by this subject. 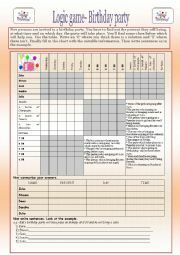 Logic Game: Birthday Party, 2 pages, key included. 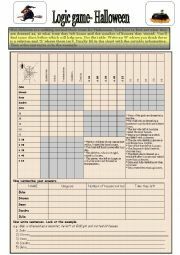 Logic game : Exam Time, 2 pages, key included. Listening activity : Hanna´s typical day at school, link to audio file and script included. 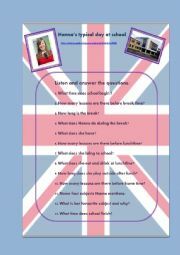 Hanna tells about a typical schoolday in England : timetable, subjects and packed lunch.Link to audio file ( http://www.audio-lingua.eu/spip.php?article3500) and script included. Sports bingo with 15 differents cards, list of sports+matching image on the last page! 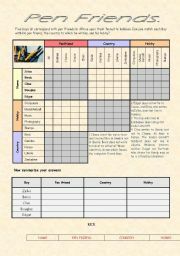 This is a test on clothes vocabulary to be printed . It is a crossword. ( letters A are for across and D are for down), key is included.